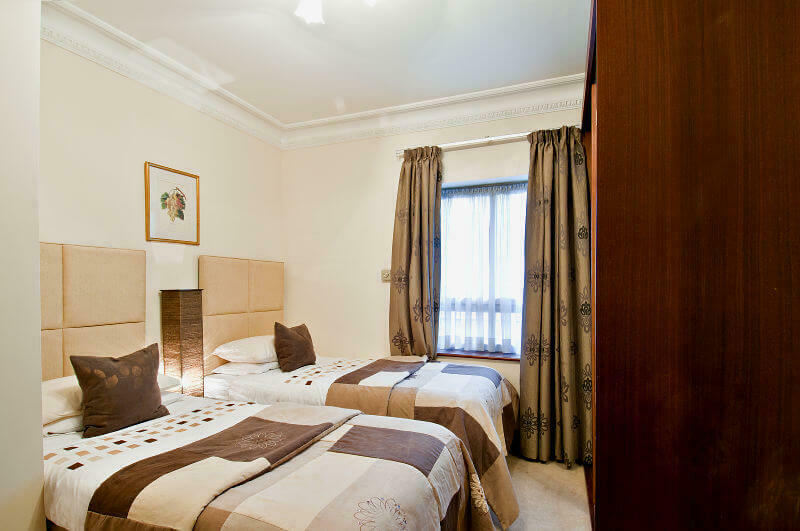 At Carlton Court, we can offer business and leisure travellers our spacious, 5-bedroom ambassadorial townhouse for a comfortable and relaxed stay in London. Situated in Mayfair Central London, our townhouse boasts excellent transport links and proximity to the city’s major commercial hub and breathtaking tourist attractions, such as Hyde Park, Piccadilly Square, Oxford Street, Buckingham Palace and more. If you are looking for a house to rent in Central London for a long or short let, we have the perfect solution. Our beautiful house spans an area of approximately 4000 sq. ft. is available for lease for a week, a month or longer. Our flexible and economical rates are specifically designed to make sure that your London stay is as good, if not better than you expected. Our commodious townhouse has been recently Updated and re decorated. The house boasts plush interiors. Our townhouse features 4 floors, separate living and dining rooms, 5 bedrooms with cosy, king size beds, en-suite bathrooms with power showers, fully integrated kitchen and more. If you wish to convert the ground floor into a dining room, you can use the dumbwaiter in the living room to carry food, cutlery and other items. Even though the house consists of master bedrooms, we can convert them into twin-bedrooms, if you want to. We, at Carlton Court, strive to make our guests feel at home in our warm and beautiful townhouse. Whilst you can continue your normal routine living with us, you can enjoy 5-star services. As soon as you enter the house, you will be greeted with a lavish Welcome Pack that will help you settle in.. Furthermore, we provide you with a Breakfast Hamper to make everyday of your stay special. When staying at Carlton Court, all you have to do is bring your suitcase. The rest we will manage. Our house is equipped with LCD TV, iPad and iPod dock, music system, high-speed internet and much more. Also, we provide you with 24/7 concierge service, maid services 7 days a week and much more. Planning to visit London anytime soon? Do not forget to book Carlton Court’s ambassadorial townhouse for an extra special experience.